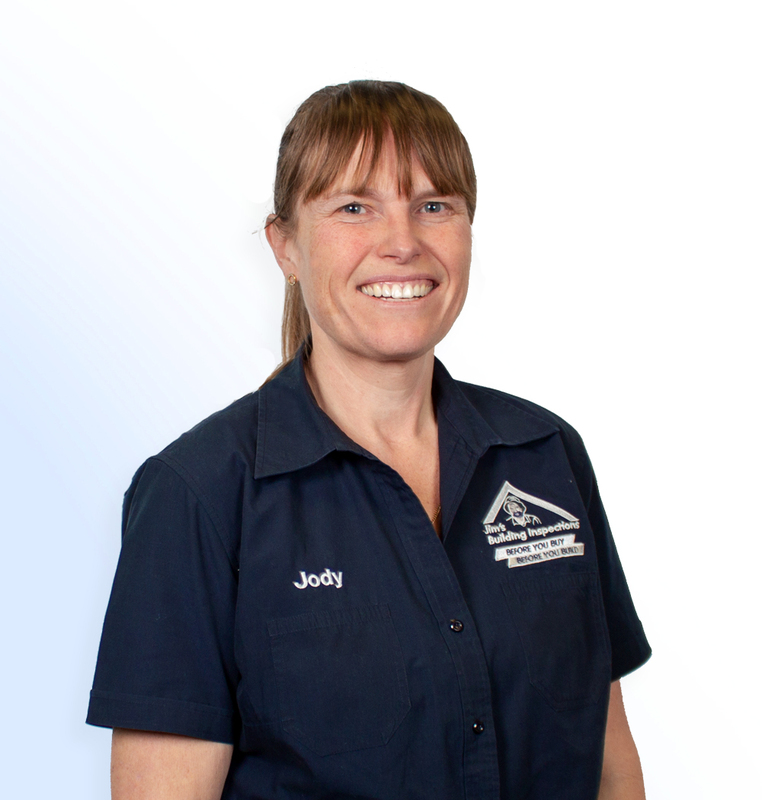 Jody is your local Whittlesea Building Consultant. Jody is our Whittlesea Building Consultant, she has been involved in the local building industry for more than 20 years. She has experience in all aspects of the industry including new home design and construction, as well as building thermal performance and GreenSmart designs (Energy Performance Ratings). Jody has worked in a number of environments within the construction industry. From humble beginnings as a draftsperson, Jody has worked for both small and large firms. She has had the luxury of working on jobs from the standard residential based project to the 5 star commercial buildings. More recently Jody has returned to studying, completing her Certificate IV in Building Construction in 2013, Asbestos Assessment Certificate in 2014 and is currently updating her skills in the Certificate IV in NatHERS Assessments (Building Energy Ratings). She is a licensed Timber Pest and Termite Inspector with the Jim’s Group. Jody offers a wide range of home inspection services starting from basic Pre Purchase Inspections, which can be upgraded to include a Timber Pest & Termite and Asbestos Assessment, through to Premium Building Inspections. Premium Building Inspections include reports from a licensed plumber and electrician, which provides total peace of mind when purchasing a new home. If you are building a new home Jody can make independent stage inspections – usually slab and base, frame, lockup and handover stages. Experience has shown that when these inspections are done there is a noticeable improvement in quality of build, and in the relationship between client and builder. Being a female in a male dominated industry, Jody understands the need for security and safety of her clients. While providing the standard Jim’s services, Jody brings her own values of trust, honesty and integrity into the product. While the normal approach is to provide good customer service, Jody’s approach is to provide a great service to all her clients while educating them in such a way that the customer feels empowered to make the right decision for their circumstances. Jody has lived in the Whittlesea area all her life and together with her family, lead a very active life within the Whittlesea precinct. The family love travelling, family outings and are very much engaged in the local sporting teams. Jody’s passion is Home Sustainability and she prides herself on providing the best service and the most relevant technical information for the important tasks associated to the most important asset, your home. Jody is fully insured with both Professional Indemnity and Public Liability Insurance. Her reports are both professionally prepared, well documented and are guaranteed to provide peace of mind to the customers.